You can print off a free WAL calendar on both of our blogs. Just click here. I have spent all day rummaging through the craft room digging out old and new WIPs to work on through October. 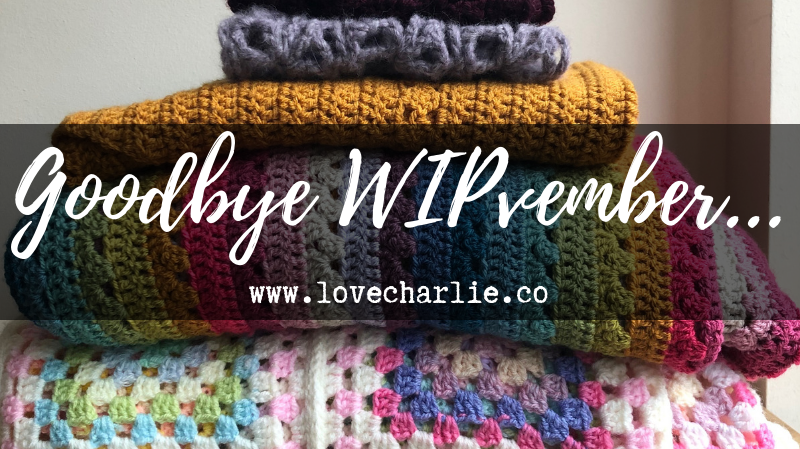 I also did a much needed clean up and put things away from my September WIP-ban (and yarn from Woolgathering which I was very kindly given this week). Things have been extremely busy for me through September and I have spent a lot of time trying to finish the four projects I set myself. I also went to Yarndale which was absolutely incredible. 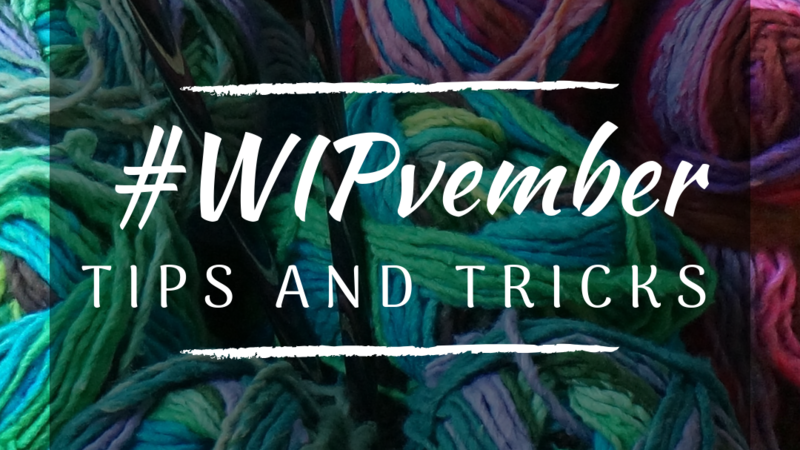 Use the hashtag #autumnwal17 on Instagram to show us your WIPs! After my WIP-ban, I am going to be starting a few new WIPs, as well as working on some old ones. I feel I need to work on something new because I have been working on the same ones for a month – which has been quite hard for me. I like to have a few ‘on the go’ (I worked on one project a week through September to ensure FO’s) as each one is suitable for a different time and place, and smaller, easier projects are better for lunch breaks. Although, I have to admit, I did break my WIP-ban on Thursday (2 days before the end of my WIP-ban) because I needed a break from the tapestry horse blanket – which has been extremely hard to finish. For some reason, I lost my mojo on that project, I think it’s because it was a commission for a project I wouldn’t have chosen for myself, in colours I wouldn’t have chose and the stitches became monotomous. This brings me nicely to my first WIP for the WIP-along. I may add a few more rounds of edging to the horse blanket before putting it in the wash. Then I’ll pin it out and block it, weave in any loose ends and ta-daa! A Finished Object. This one has been a long-time in the making for a commission, and although I’m delighted that I learnt tapestry crochet, I’ll definitely be happy to give this to it’s owner and be finished with it. I am proud of myself for choosing a difficult pattern for my first tapestry crochet project. Katie has asked me to make her a scarf in Burgundy, so I thought I would make her a Harry Potter inspired scarf. Gryffindor to be precise. This is the project I broke my WIP-ban for. I just needed to work on something briefly with a bit of colour. This WIP has made it to my #autumnwal17 list because I ‘d like to finish it in time for her to wear it in the cold months, this year rather than next year. I am making this one up as I go and I may publish the pattern when I’m done. I am using Caron Simply Soft in Burgundy, and Stylecraft Special DK in gold. This is a project I’ve been working on for a couple of years… or I started it a couple of years ago anyway. I haven’t touched it for over 6 months. At the moment, I have a basket of 129 squares. If I make 11 more, I can make a blanket 10 x 14 squares big. I have a ball of cream aran in the stash that will be perfect for this project… so the aim is to make the last 11 squares and start edging and joining them. I know I’m not going to finish this before the WIP-along finishes, but I will at least make a bit of progress, and maybe finish it before the end of the year. A nice little Christmas present to myself! This is a stash buster, and just uses various acrylic yarns. I started this blanket shortly after the Attic24 Moorland Blanket CAL. My intention was to work both of them up at the same time so that me and Katie would both have a blanket. Good plans and all that… we ended up moving and renovating a house. I managed to finish Katie’s blanket in July, however mine remains less than halfway completed. Again, I don’t want to (although I’d like to) finish this blanket in October, but I’ll be happy to make at least one ‘colour repeat’. Any progress is good progress, and that’s what this WIP-along is all about. This is a new WIP and an un-started WIP. I showed the yarn off for this project in my first YouTube video, and I’ll be making a Neon Lights beanie hat from issue 14 of Simply Crochet by MyBoshi. It is my favourite beanie hat pattern, and it is a very quick and easy make…brilliant for Christmas gifts. 6. Movie Night Cocoon Cardi. 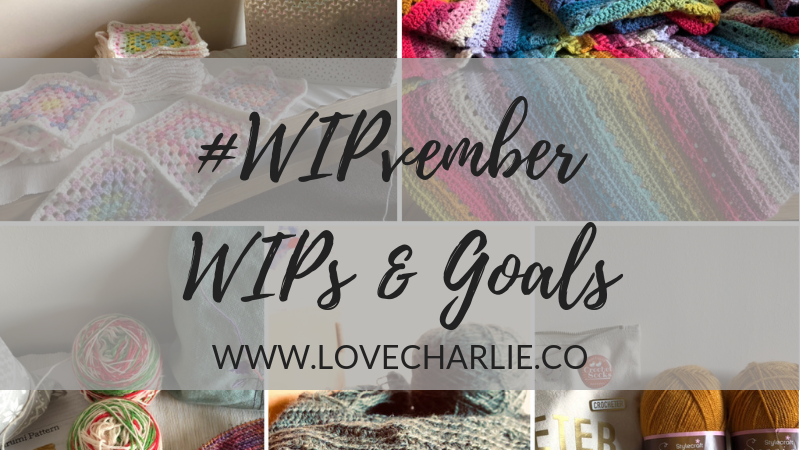 I am starting this WIP as part of the #backtoschoolsweatercal hosted by Tamara of craftyescapism and Helen of makingatnumber14. I have never made a garment before and I have had this Movie Night Cocoon Cardi pattern by Alexandra Tavel in my Ravelry Library for a long time. I think this pattern is going to be easy and hopefully quick as it is based on a granny square. I am excited to make a garment that I can wear. Earlier in the year (or was it last year?) I bought some burgundy acrylic from Aldi especially for this project, so I will have a cardi to wear in my favourite colour! 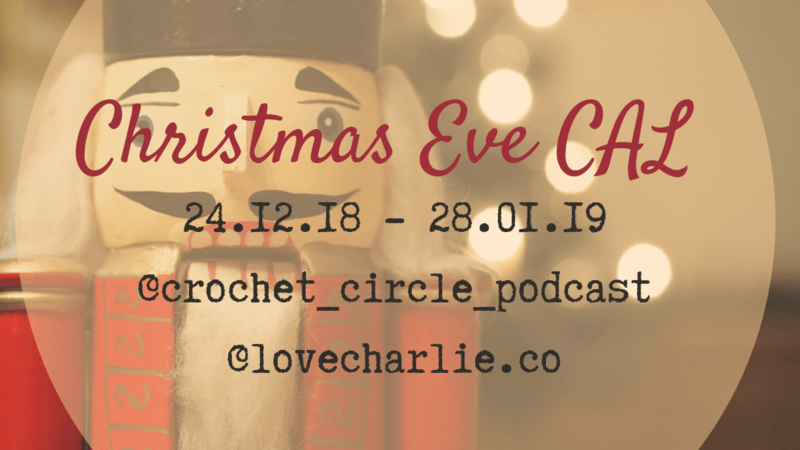 I would like to take advantage of Claudia (Crochet Luna) and Hannah’s (Thecozycottagecrochet) Tunisian crochet CAL so I can finally learn how to do it! They will be publishing tutorials on their YouTube, and I think that making a dish cloth will be a nice way of breaking up the WIP-along so I have a quick FO. I’m also very excited about learning a new crochet skill! I have had Tunisian hooks for years but just haven’t actually sat down to learn. I will just stash bust some acrylic yarn for this CAL, and if I like the effect, I may make some cotton facecloths in the future. 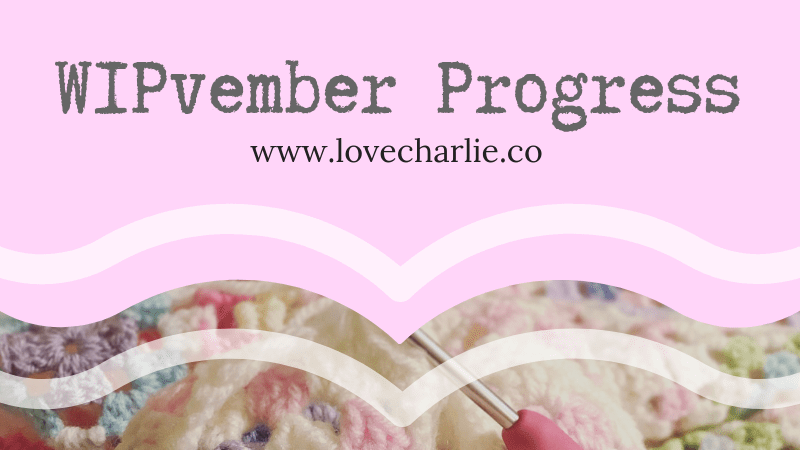 The CAL runs the same time as the Autumn WIP-along, and they’re doing tutorials for four different patterns. Inspired by Clarisabeth of Crochetcakes and Fay of The Crochet Circle Podcast, I want to dye my own yarn. I loved the colour of Clarisabeth’s avacado dyed yarn so I’ve been saving my skins and stones over the past couple of weeks. I’m nervous about dying yarn as I don’t know any of the technicalities or procedures. I’m going to have to do a bit of research. Fay is hosting a Dye your own Yarn-along on the 27th of October, so I’ve got a few more weeks to keep eating avacados!